Yoga; you love it for its centering capabilities, stress reduction, and the mild workout. But did you also know that yoga can also be an effective treatment for osteoporosis? Research has shown that yoga can prevent, slow* — and in some cases even reverse — the process of bone loss. For that, yoga, we say, Namaste. Osteoporosis, a disease characterized by weak, thinning bones that can lead to fractures, affects some 200 million women worldwide. In fact, one in three women over 50 experience osteoporotic fractures. Classic risk factors for osteoporosis include being female, age, low body weight, excessive drinking, and smoking. In its early stages, the disease likely won’t cause much pain, but as osteoporosis progresses and bones become brittle and break, the pain and disability can be severe. Complications occurring from bone weakness and breakage can be debilitating and irreparable. But the frailty and incapacity associated with osteoporosis is not just a normal part of the aging process. It is due, also, to inactivity. A good preventative strategy is to do some bone-strengthening exercise, and make sure to eat a bone-healthy diet. Practicing yoga seems to be a safe and effective way to promote good bone health and prevent the brittleness that osteoporosis threatens. And the science confirms it! 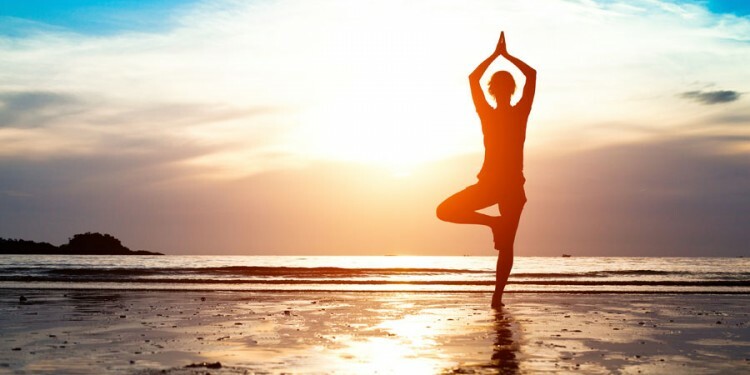 A pilot study done by Dr. Loren Fishman, Medical Director of Manhattan Physical Medicine and Rehabilitation in New York City, suggests that when individuals practiced yoga for only a short 10 minutes per day over a two year time period, their bone density increased. Yoga has multiple benefits, as it produces both a dynamic stress when moving into a pose and static stresses while holding a pose. Fishman’s study confirmed that while holding yoga poses, tensile (stretching) force and isometric, compressive (weight-bearing) force stimulate the osteocytes (cells found in mature bone) to produce proteins and lay down new bone. 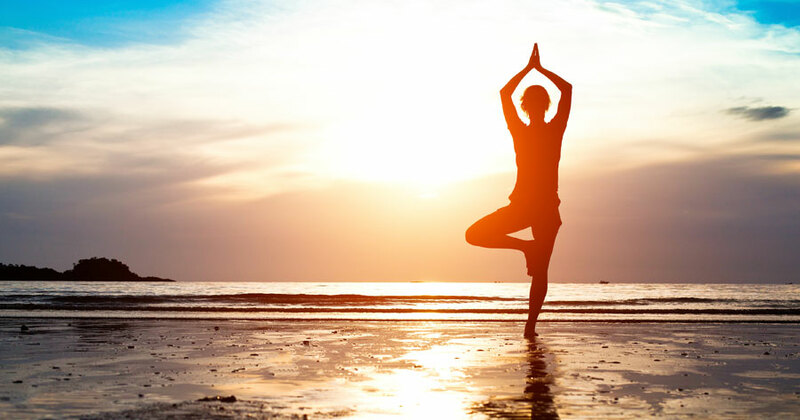 In addition, yoga stimulates the production of synovial fluid, which not only lubricates and nourishes the joints, but also activates chondrocytes (the cells found in healthy cartilage) to lay down new cartilage. But what poses should you do to get the best results? Regardless of how much yoga you might have already practiced, we suggest starting with the easiest poses for a time. Once you have mastered those, then move to the moderately challenging ones that put more pressure on the bones. And finally, if you feel ready, try the classic poses. Don’t be intimidated! Everyone can learn by spending time on the basics. See if you can hold each pose (as pictures from YogaJournal.com) for 30 seconds. Relax; feel the pose; live in the posture; and enjoy it! The angles of this basic standing pose represent the three main characteristics of yoga: mind, body and spirit. It is a gentle pose that provides a full-body stretch, while also strengthening the lower body. Mild twists like the seated twisting pose gently apply pressure to the bones without harming the vertebrae. Like the triangle pose, the extended side angle pose provides gentle stretching while also strengthening the bones. It can be practiced either with the lower forearm on the knee or with the hand on the floor. A gentle spine twist paired with a larger body stretch. With one foot resting on your other leg’s thigh, put your hands at the heart in prayer position, and then extend above the head. The half moon pose works the legs, glutes, abdomen and spine, while also providing relief from osteoporotic pain. To modify, put a block on the floor beneath the bottom hand to balance yourself. The bridge pose provides a gentle stretch of the back, chest and neck. Place a block under the sacrum if additional support is needed. An ultimate all-over, rejuvenating stretch. One of the harder poses, the locust pose looks simple, but is actually quite challenging. Gently raise the legs and upper torso, and try holding steady. Use this to stretch and strengthen the back. It is most effective for easing lower back pain. This pose gently lengthens and strengthens tight hamstrings. A modification of the Plank, Dolphin Plank Pose strengthens and tones the core, thighs, and arms. Dolphin pose strengthens the core, arms, and legs, while also nicely opening the shoulders. A steadying and stretching pose. Uttanasana will wake up your hamstrings and soothe your mind. This pose can help strengthen your arms, legs, abdomen, and spine while providing a boost of energy. Named for a fierce warrior, an incarnation of Shiva, this version of Warrior Pose increases stamina. *Even if you already have osteoporosis, practicing yoga can work to strengthen muscle tissue and bone. But be sure to consult your Doctor before engaging in any activity, as certain joint movements should be modified — or avoided altogether.